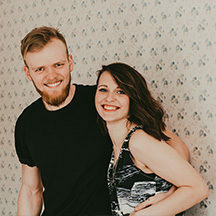 Peep and Anna started serving full-time with Josiah Venture in 2004. Peep grew up in a little baptist church in Estonia and was involved in leadership roles in the youth ministry since the age of 12. But it was in 2001 when God really got hold of his heart with a burden for the youth in Tartu. 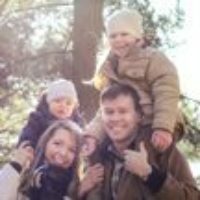 He gathered a team and Going UP (a ministry that is now called KOMA, which is Josiah Venture’s partner organization in Estonia) events started as a way to reach young people. Anna moved to Estonia at the age of 12 as a missionary kid, and Peep and Anna got married in 2003. Right now they are leading a church plant that grew out of the Going UP local ministry in Tartu, called Risttee (Crossroads church). Anna is part of the children’s and women’s ministry leadership team. Peep is also working on the national level with teams and churches that have a heart for church planting. 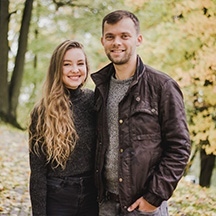 Peep and Anna live in Tartu and, in addition to their role in ministry, they have the roles of being a father and mother to Emma, Elliot and Benjamin. You can write to Peep & Anna Saar directly from this page.